While the film is extremely compelling, it turns out that there’s actually a better way to learn about and visualize the human body than by watching Osmosis Jones on repeat. It used to be that students and the anatomically curious had to turn to pictures in textbooks or plastic models (Gasp! I know!) to get a virtual tour of the human body. Well, thankfully, it turns out that some graduate students are learning with a better, more tech-savvy interactive map — as if the human body were being given the Google Earth treatment. A New York-based imaging startup, called Biodigital, emerged early last year with an ambitious mission and product: Animate, map and display the human body in 3-D through any browser. With traction slowly mounting and the scope for Biodigital’s technology beginning to expand, the startup today announced that it is taking on $4 million in series A financing, led by FirstMark Capital, with participation from NYU Venture Fund and a handful of angel investors. Co-founders Frank Sculli and John Qualter created their free technology by combining advances in CAD, HTML5, WebGL and other cool-acronymed web technologies to push browser-based virtualization forward and perhaps finally replace your dog-eared, dusty old anatomy textbook. Since launching a year ago, “Human,” Biodigital’s fittingly named, 3-D virtual body that displays thousands of medically accurate health conditions and anatomy objects through an interactive web-based platform, has attracted more than 1 million members. Sculli tells us that students in more than 2,500 schools are using it to learn anatomy, and consumers have begun taking tours of the virtual body to investigate and better understand their health and fitness and, of course, how babies are made. Thanks to partnerships with schools and a handful of healthcare providers, hospitals and clinics are beginning to introduce Biodigital’s virtual body into their practices to help patients understand their illnesses, afflictions and maladies. But the big, long-term vision, the Biodigital founder tells us, is to develop a powerful set of APIs that enable developers and engineers to tap into the startup’s imaging technology — using to build new applications and expand on existing ones. Putting its tech in the hands of smart builders and creators, Sculli hopes, could “improve healthcare in crazy ways we’d never have imagined” over the long-term. And, of course, there’s the other benefit of launching APIs, which Paul Graham summarized neatly, dubbing them instant, self-serve business-development tools. The funding, in essence, validates the founding mission of Biodigital, Sculli tells us, considering that the company has in some form been hacking away at this problem (and the use of 3-D tech to simplify health concepts) for about a decade. But, really, the funding validates the problem that has existed for years now — throughout both health and education — that the traditional means of communicating and presenting critical health information do not reflect the huge strides innovation and technology has made on the technical side over that time. With some 80 percent of adults having searched for health information online at some point, the consumer demand for health information is clear, and the demand for better ways to visualize that health information have begun to catch up. After all, as Sculli explains in a blog post today, 3-D technology is already changing the face of games and movies and has become familiar to the Average Joe through geo-browsers like Google Earth. As the founders correctly (in my humble opinion) surmise: “Nowhere does this 3-D technology make more sense than in representing the human body.” Once browsers began to natively support this technology, alongside the meteoric rise of cloud and API-based businesses, Sculli writes, the founders had the missing piece. They could not only develop this product for healthcare providers, but use universally available tools and supported web technologies to bring their virtual body explorer to the public. With its new funding, Biodigital finally has the capital backing it needs to expand its team and spread the word about its virtual body, building on the organic growth it’s captured over the last 12 months. Not only that, but it will be able to put the finishing touches on an API that will potentially result in some mind-melting applications and utilizations. 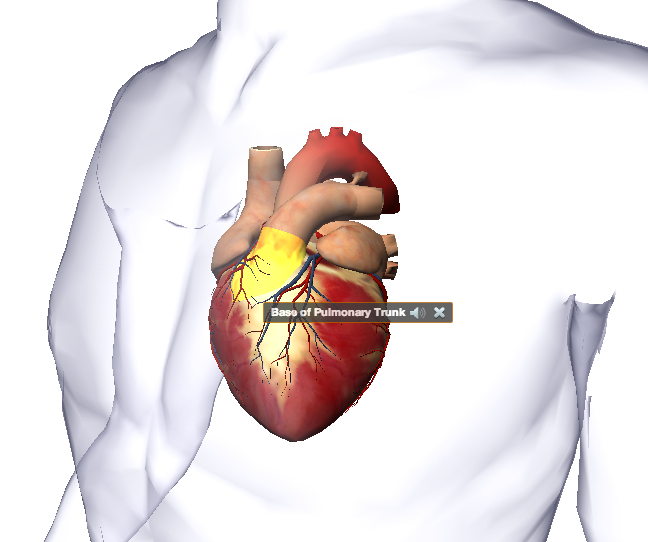 The startup’s virtual body is free for anybody to use and can be found here, though Biodigital will also be offering a premium (paid) version of its service to both providers and businesses.